February Boxycharm | Best or Bust? I know, I know, it is currently March. However I have somehow gotten myself to the very end of Boxycharm’s shipping list so my February Boxycharm showed up very late in the month. There is nothing to be done about it though so let’s just soldier on! Boxycharm costs $21/ month and includes 4-5 full size products. 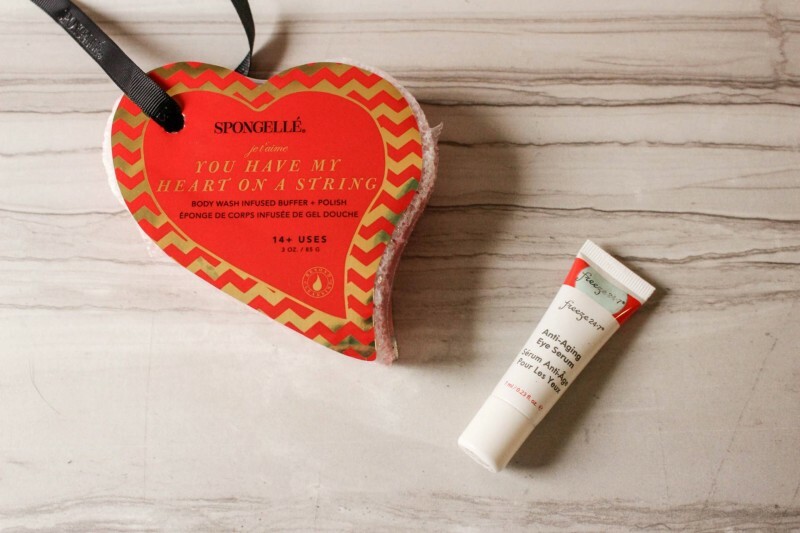 The first item in the box was a Spongelle You Have My Heart on a String, which retails for $15. This a ‘body wash infused buffer’ which basically means a sponge with soap in it. It says it has 14 uses but I’m a bit skeptical of that. To be honest I am rather picky about bath products so I don’t think I’ll use this product. The next product is a Freeze 24-7 Anti-Anging Eye Serum sample. I am not one for an involved skincare routine, I barely remember to wash my face, so eye serums are a bit wasted on me. I found it to be a little thinner than eye serums I have tried in the past. I would say the consistency is between an oil and a true serum. I have not noticed any difference in my skin yet, but if it works any miracles I will be sure to let you know! Next up was this Shray Ms. Amazing face mask which was a Boxycharm exclusive. I hadn’t used a sheet mask since I was about 14 at a sleepover so this was a bit new for me. It was a bit more damp than I was expecting and I didn’t feel like my skin was all that much better but this was a dry skin mask so I wasn’t really the target market. 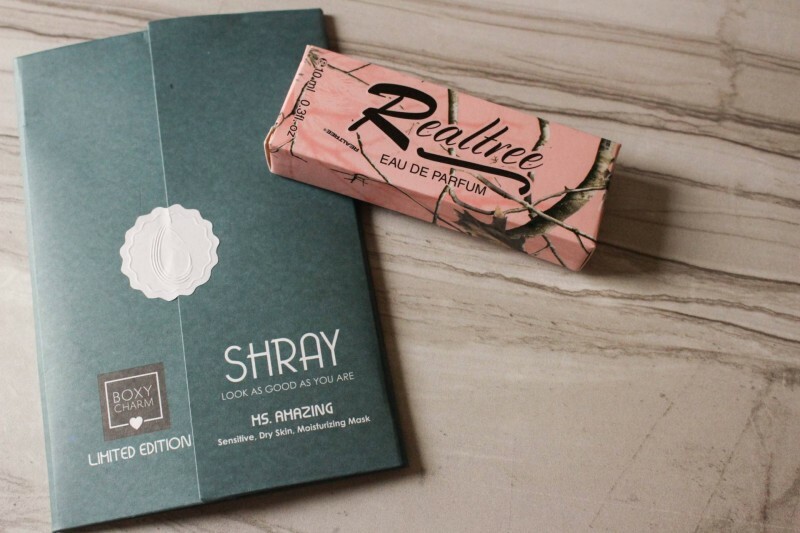 The Realtree for Her Travel spray retails for $12.99. It has a nice fruity scent but I am not a big fan of the packaging. Pink camo is about as far from my style as you can get so it might live in my drawers. 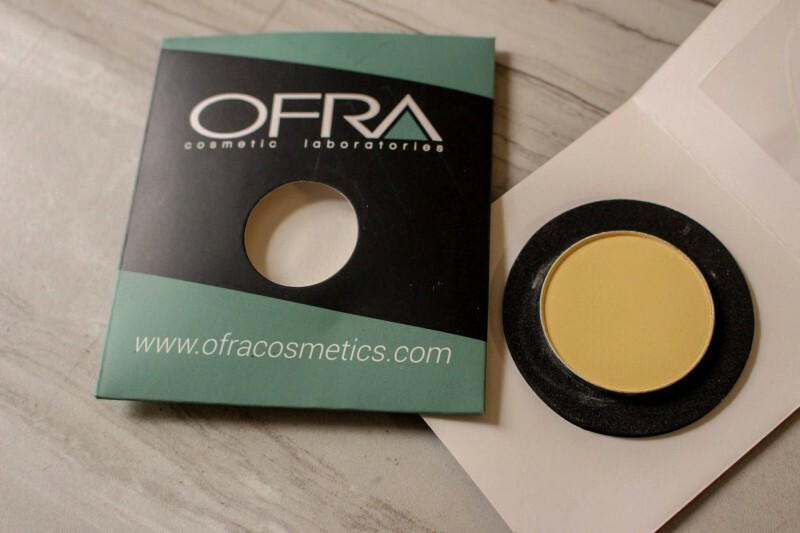 Next an Ofra banana powder. I don’t think I will use this product as a shadow but I do think it will be useful for under-the-eye. The yellow will be perfect to help conceal dark circles. It retails for $12. 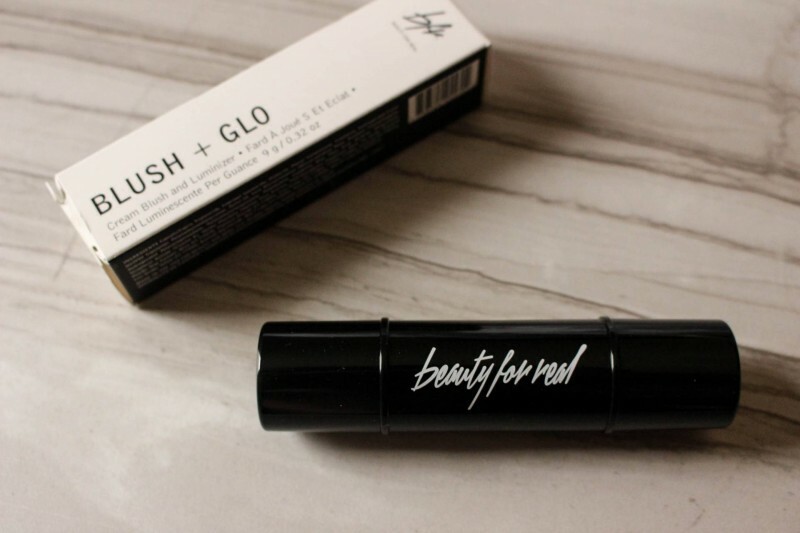 The last product was the Beauty for Real Blush +Glo Glow stick. This is a double sided product with a cream highlight on one side and a cream blush on the other. Since I recognized the Beauty for Real name I was very excited to try this product. Unfortunately I found that the highlight was much to dark for my very pale skin. I didn’t think either side was easy to blend so I am sorry to say that this product gets a thumbs down from me. 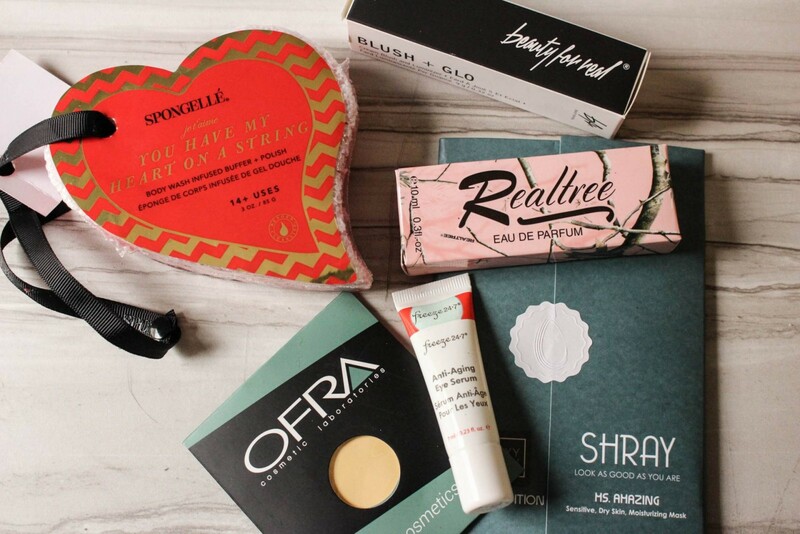 I have been a Boxycharm subscriber for over a year now and I have recommended them time and again but the February Boxycharm was a bit of a disappointment. January might have been my favorite box yet so I suppose I was due for a less exciting one. Hopefully next month will be back on track! Thank you for reading! Have a nice day!